A modern fashion landscape principally made up of designer labels, aspirational brands and discount stores seems to have made creating your own clothes a thing of the past. People either want to be wearing the right name or to spend as little as possible and there is also very much a culture of immediacy. Nobody wants to wait long for anything and with online shopping they don’t even have to leave the home to get what they need but I can’t help feeling that something has been lost in this rash of consumerism. When I was a youngster my mother was a keen dressmaker and had grown up in the war years when the ability to sew was essential. She taught me to sew and how to use patterns and I soon realised that I could use my skills to make clothes that nobody else had and at very little cost. Sewing was a great way to build a good wardrobe on a limited budget and I enjoyed the sense of achievement when I produced a new garment. In later years I stopped making my own clothes but my sewing skills have still come in handy when I have needed to repair things and there is always a queue of friends offering me damaged garments with a plea for help. High street fashion has become so homogenised that it is difficult to find the clothes that you want if they don’t happen to be the in thing at that moment. Every high street and mall consists of the same shops and those shops seem to sell much the same thing so if you want a midi dress when maxi is in then you are out of luck. I am now considering rescuing my sewing machine from the cupboard under the stairs because I am becoming increasingly frustrated with the lack of choice out there and the cost of some of the higher quality clothes. When I see a nice skirt and discover it will set me back £100 and more I always walk away because I know that I could make a similar style for a fraction of the price and end up with a unique piece into the bargain. The challenge is time. If I want to get creative again I am going to have to find the time to do it and I suspect that this is a big reason why so few people sew anymore. Online shopping is just too convenient and you can always find a cheap quick fix on the high street even if it is nothing to write home about. Sewing skills also come in handy for pimping your clothes and that doesn’t take too much time. By adding embellishments to simple garments you can really transform them into designer pieces without spending much at all. I should at least find the motivation to do that! 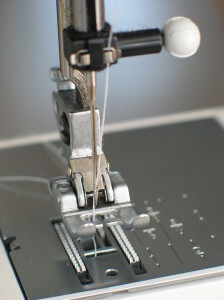 Perhaps sewing will see a surge in popularity just as knitting has. It is not so portable but is equally therapeutic and I can’t be the only person who wants to rebel against the fashion industry’s practice of telling me what I should be wearing. 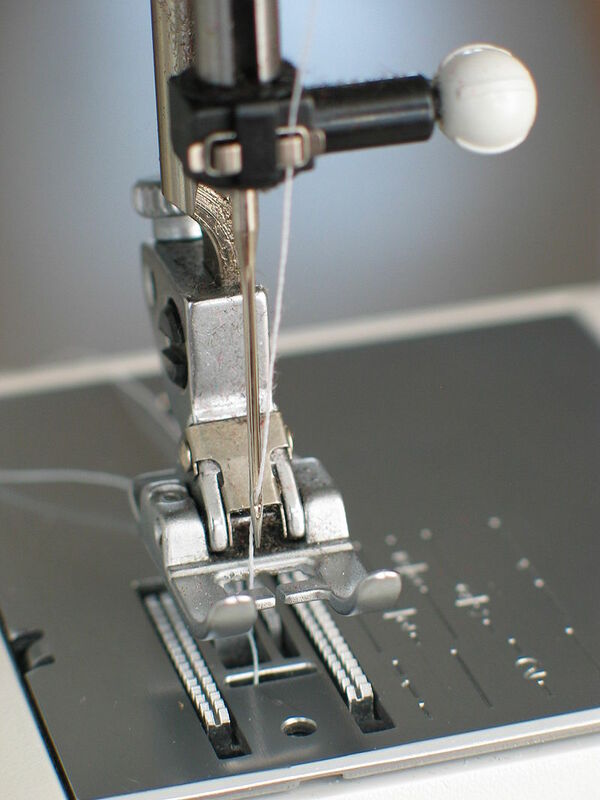 This entry was posted in Discussion and tagged clothes, dressmaking, fashion, knitting, making clothes, sewing, sewing machine. Bookmark the permalink.